Adopting an elegant geometrical approach, this advanced pedagogical text describes deep and intuitive methods for understanding the subtle logic of supersymmetry while avoiding lengthy computations. The book describes how complex results and formulae obtained using other approaches can be significantly simplified when translated to a geometric setting. Introductory chapters describe geometric structures in field theory in the general case, while detailed later chapters address specific structures such as parallel tensor fields, G-structures, and isometry groups. The relationship between structures in supergravity and periodic maps of algebraic manifolds, Kodaira-Spencer theory, modularity, and the arithmetic properties of supergravity are also addressed. Relevant geometric concepts are introduced and described in detail, providing a self-contained toolkit of useful techniques, formulae and constructions. 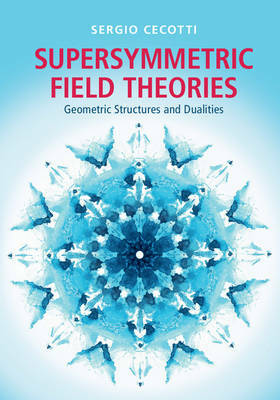 Covering all the material necessary for the application of supersymmetric field theories to fundamental physical questions, this is an outstanding resource for graduate students and researchers in theoretical physics.